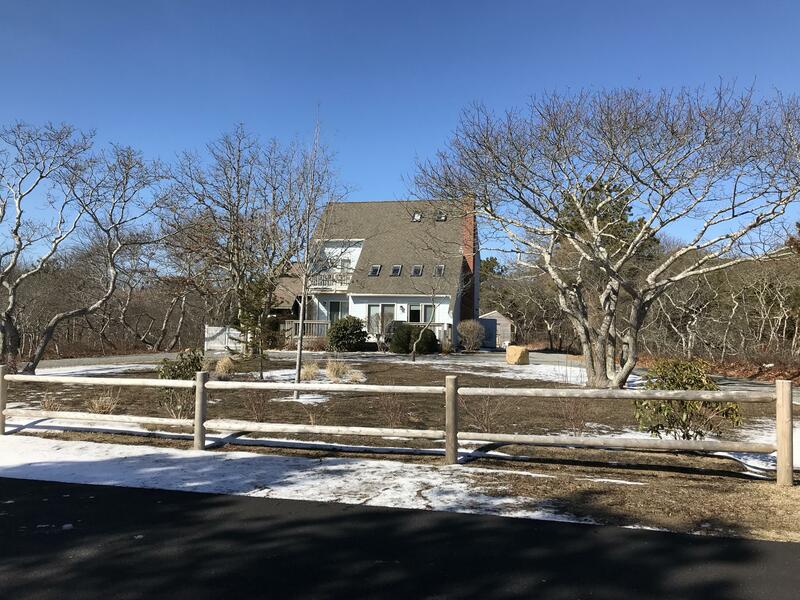 A RARE FIND---The Edgartown Estates community with a FIVE BEDROOM Lot. 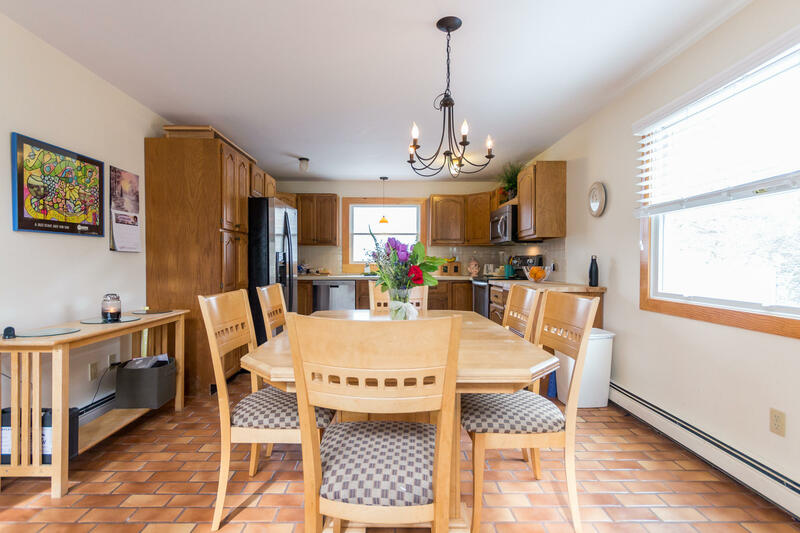 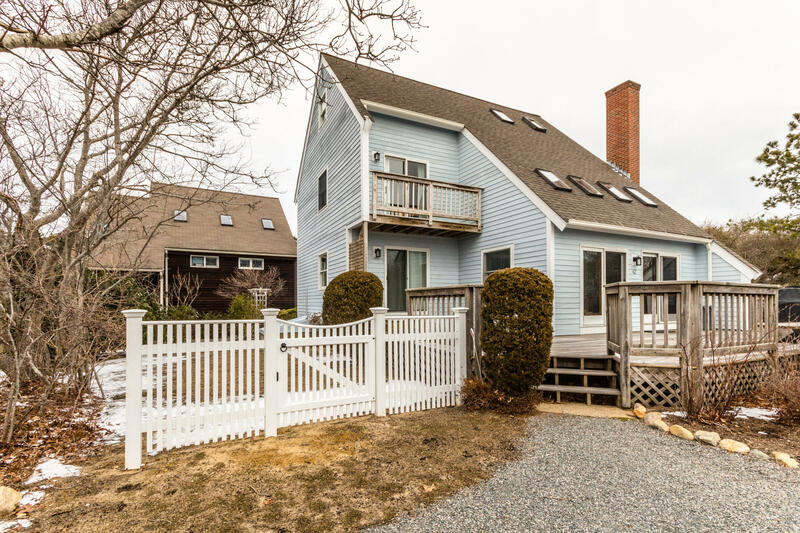 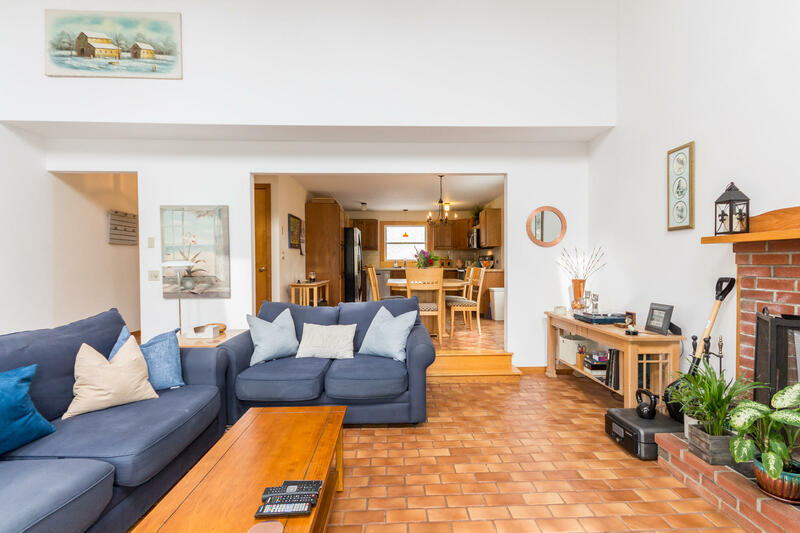 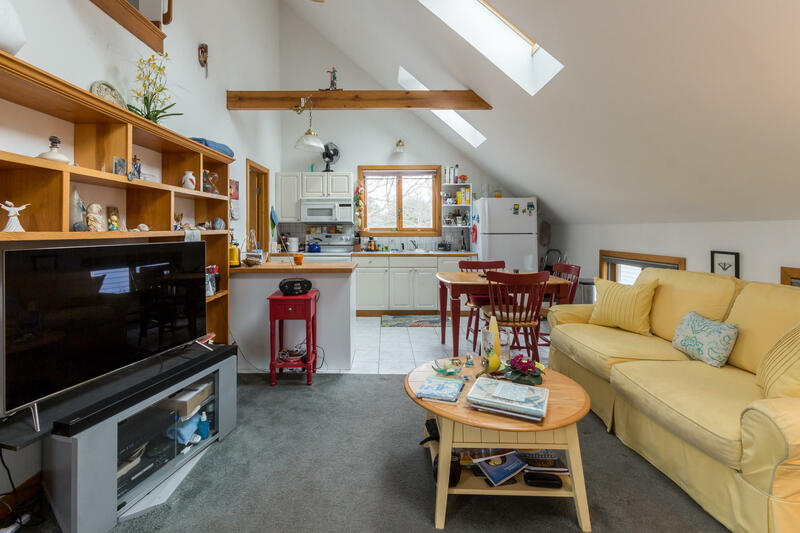 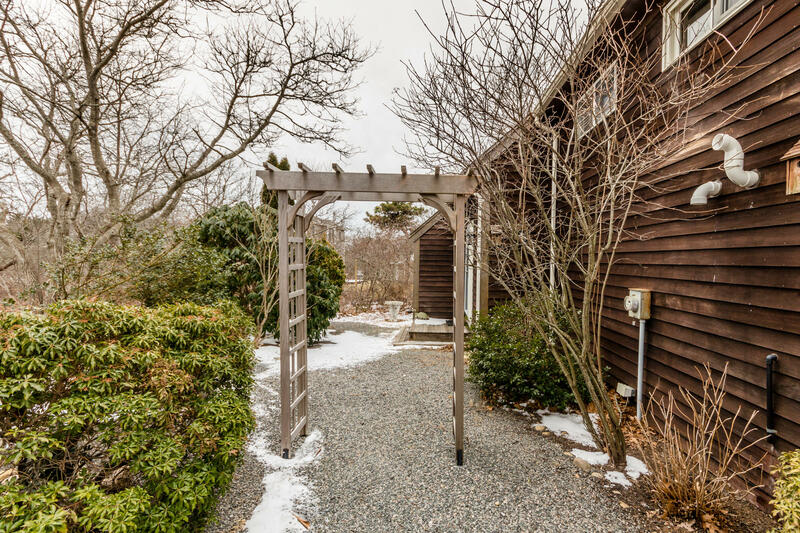 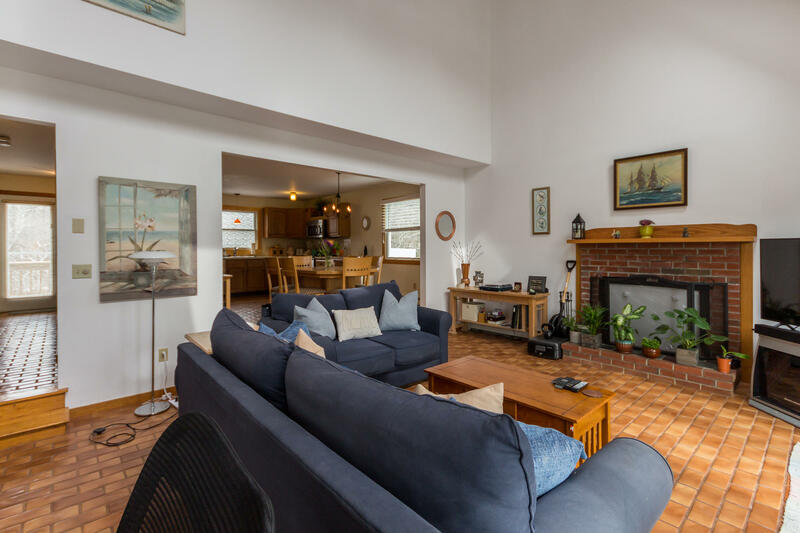 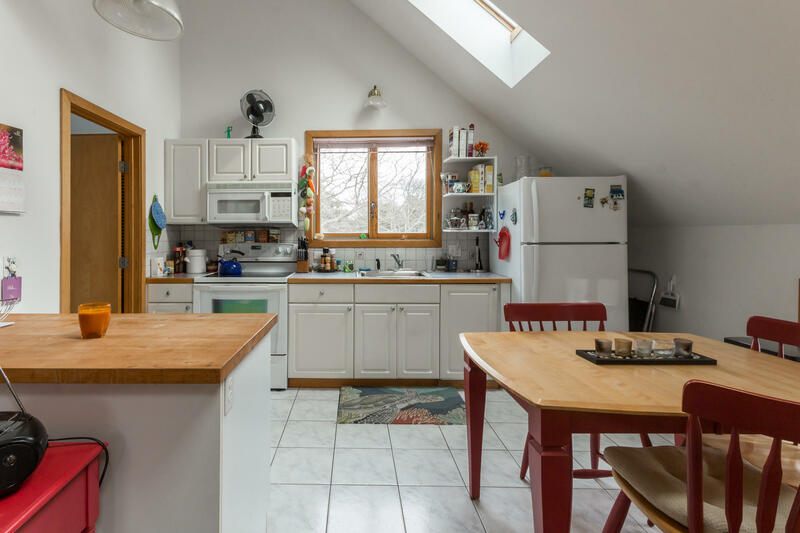 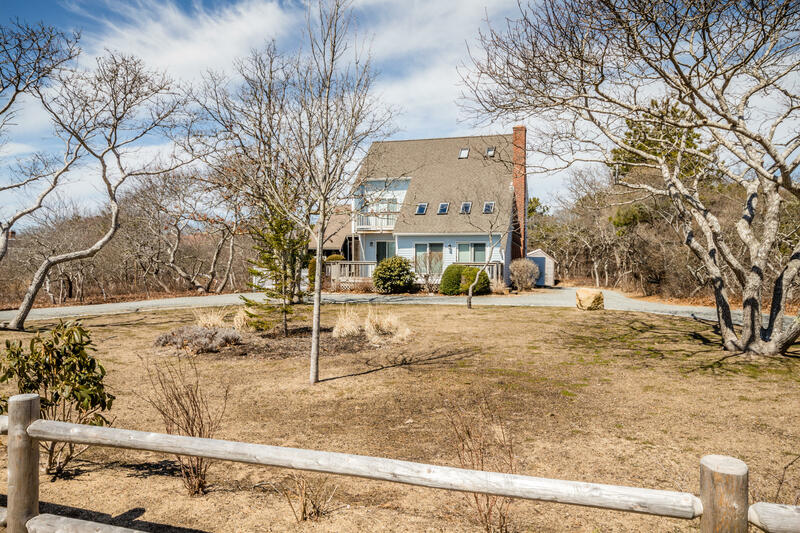 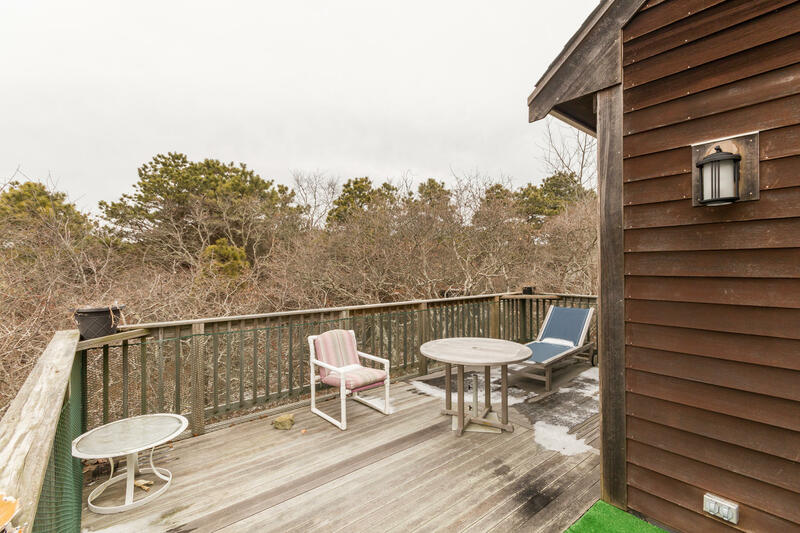 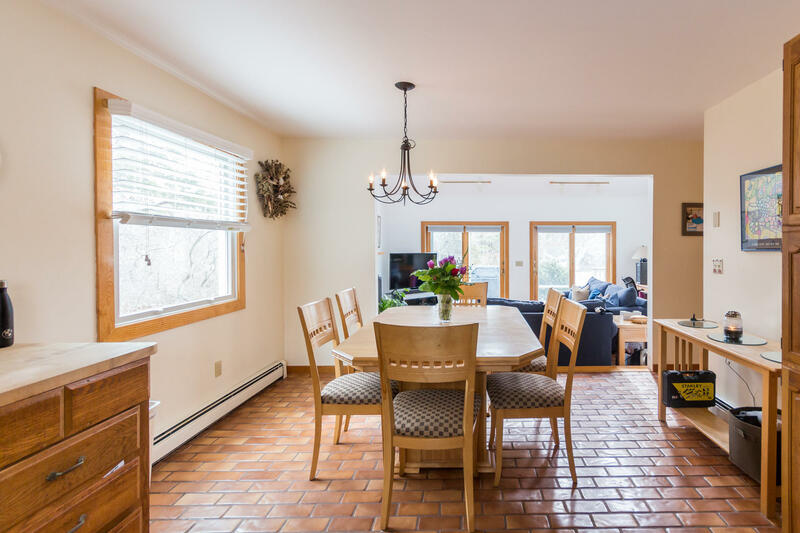 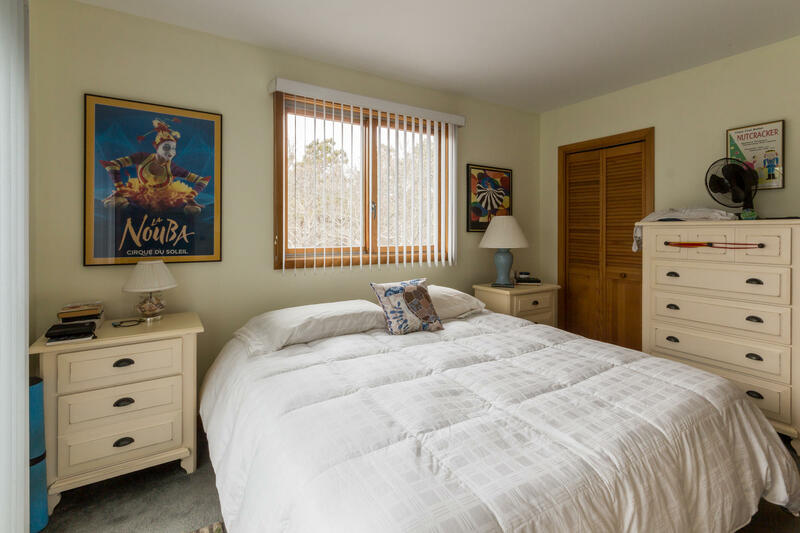 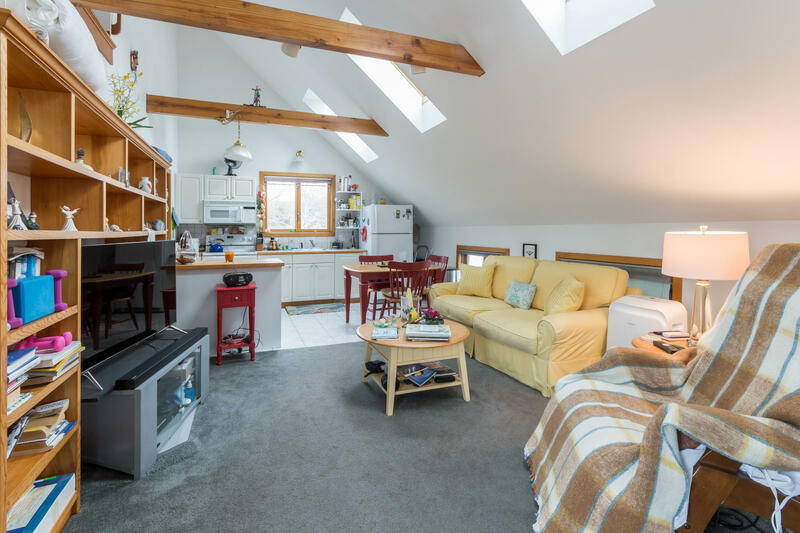 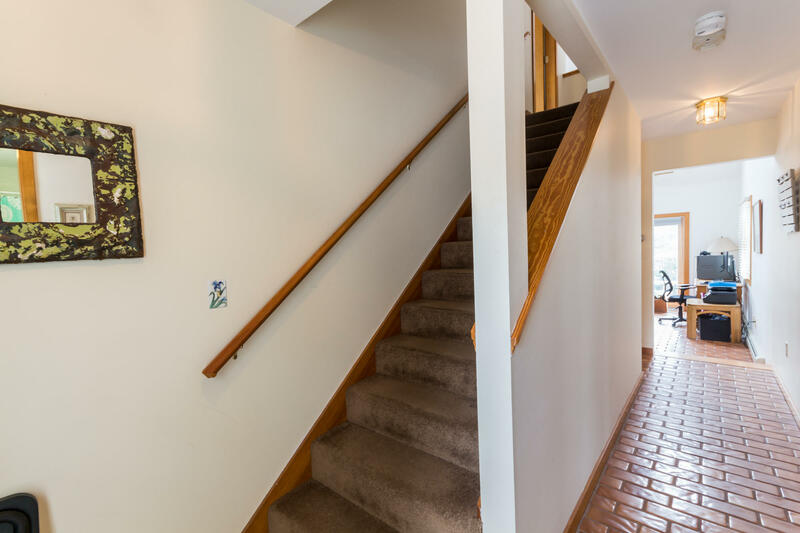 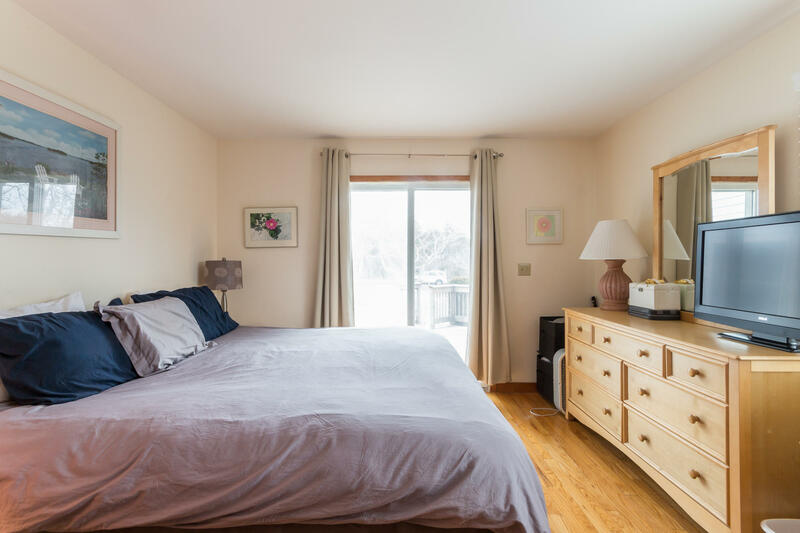 Sited equidistant to South Beach and Edgartown Village, this 4 bedroom contemporary saltbox includes a one bedroom apartment above a detached 2 car garage. 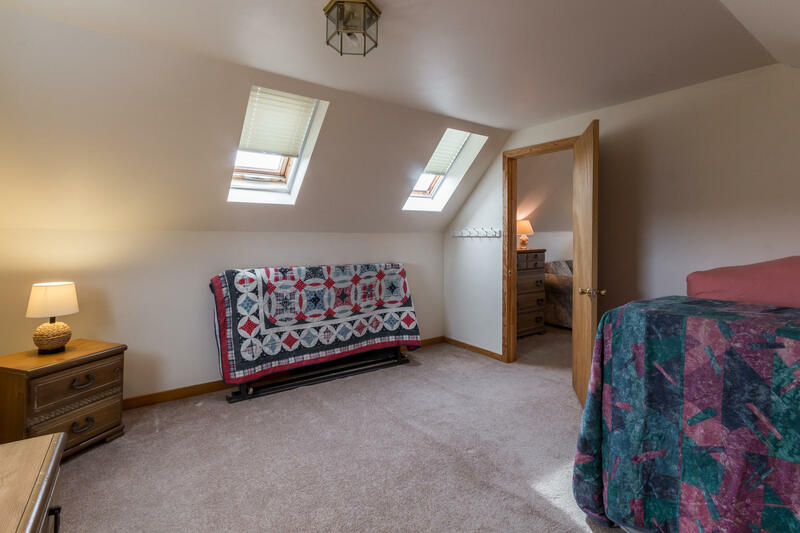 Truly a unique opportunity in an area now restricted to far fewer bedrooms. 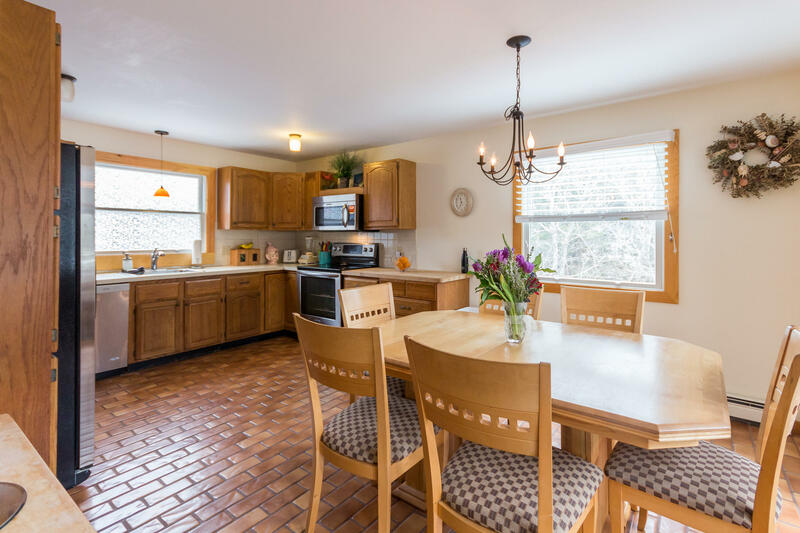 The home is attractively set back on the Lot. 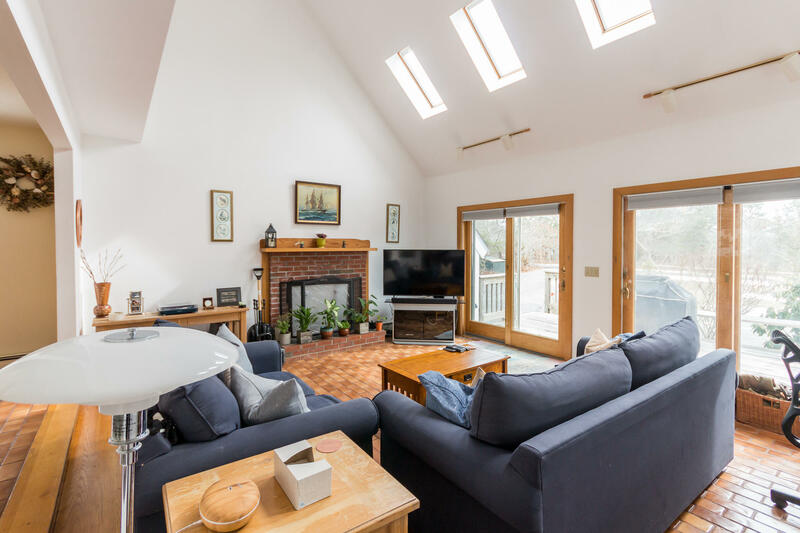 The living space is bright and airy with soaring ceiling and wood fireplace in the living room, all open to the kitchen/dining area and the spacious deck. 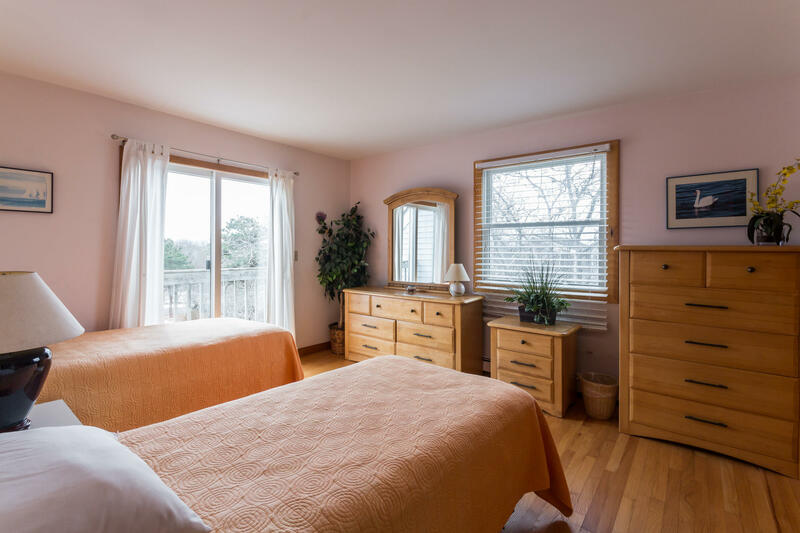 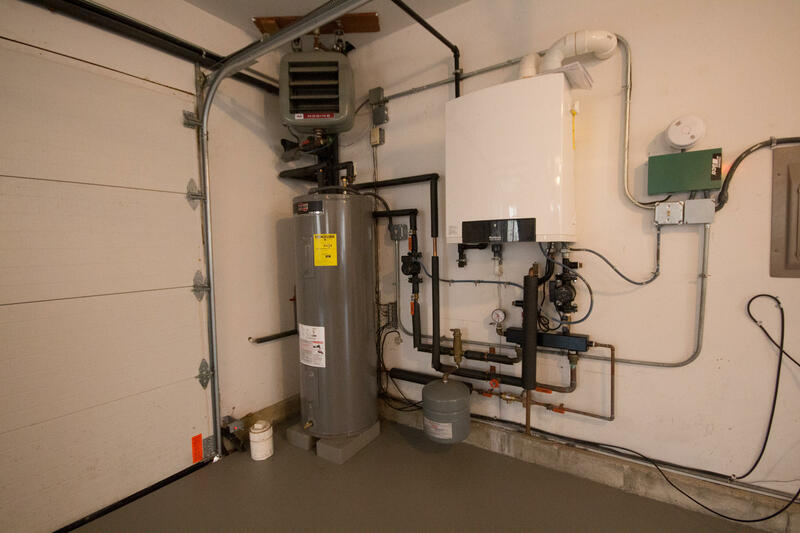 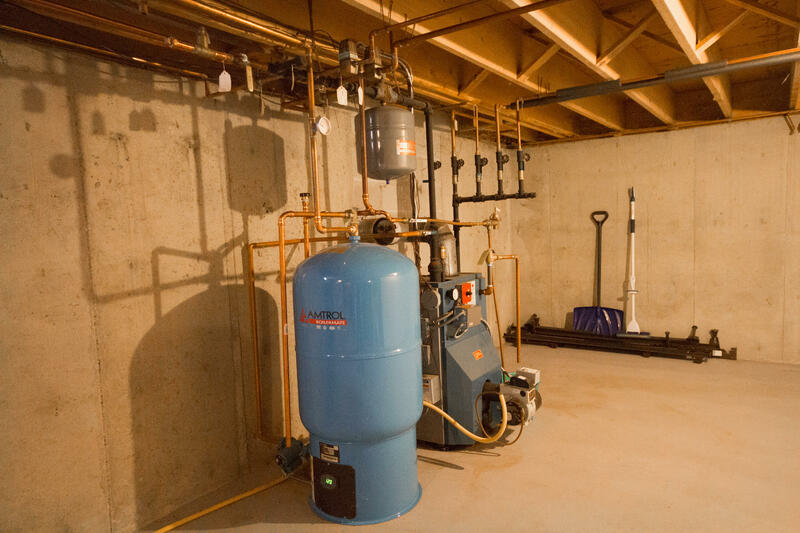 A first floor bedroom and bath complete this level. 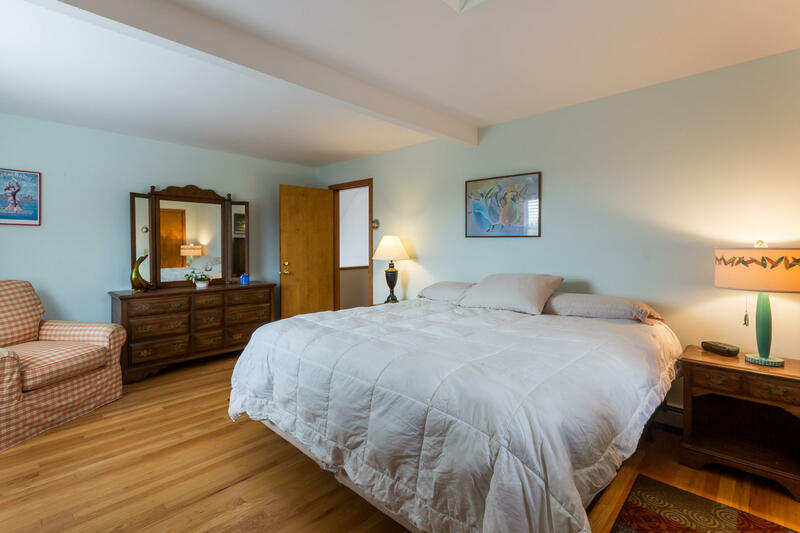 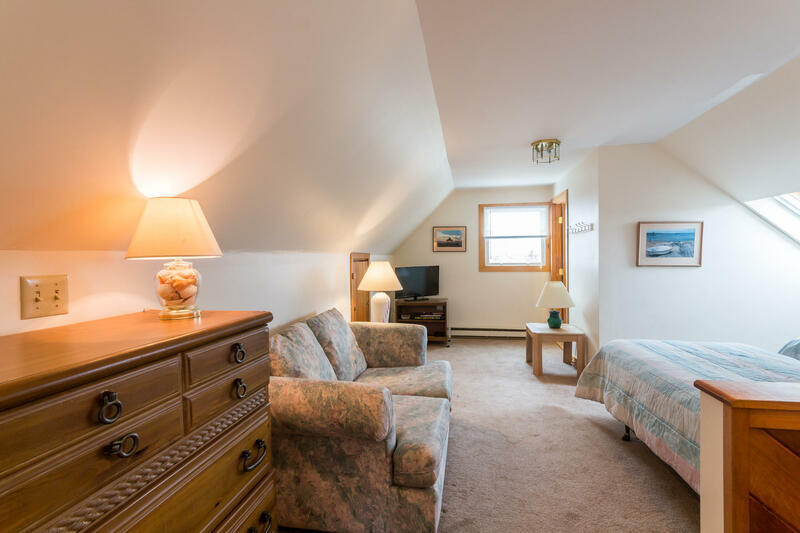 On the 2nd floor you will find a spacious, second bedroom and a third bedroom with access to its own balcony. 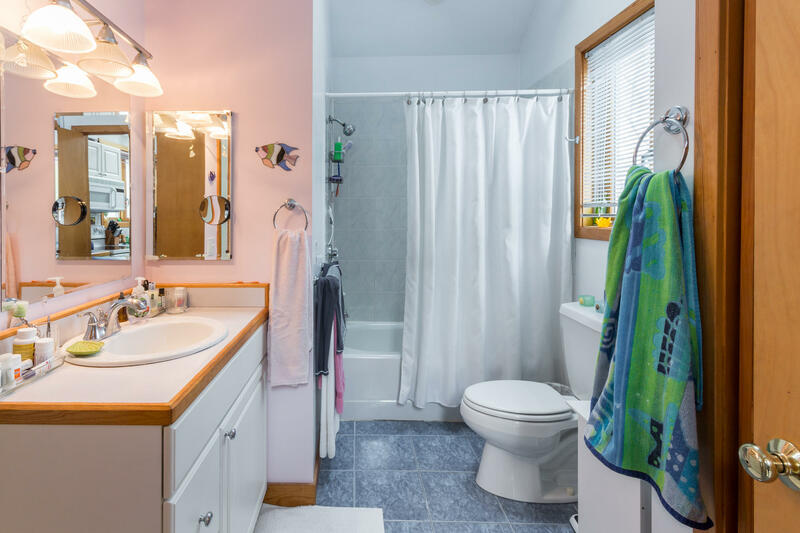 A full bath completes this level.